The most important thing for travellers to know, of course, is not to drink any tap water in China. Even the tap water from 5-star hotels needs to be boiled (and, often, in rooms there will be a water-boiler). Sometimes in a hotel there will be a sticker saying “this water is safe for drinking,” but this is not quite so—according to our tour guide, it’s only safe for locals whose stomachs are already accustomed to the types of bacteria in that water. So always drink bottled water, such as those of the Wahaha and Robust brands. Don’t trust other brands, especially those sold by random people on the streets—reputedly, many of them will just fill bottles with tap water and sell them to make a quick buck. 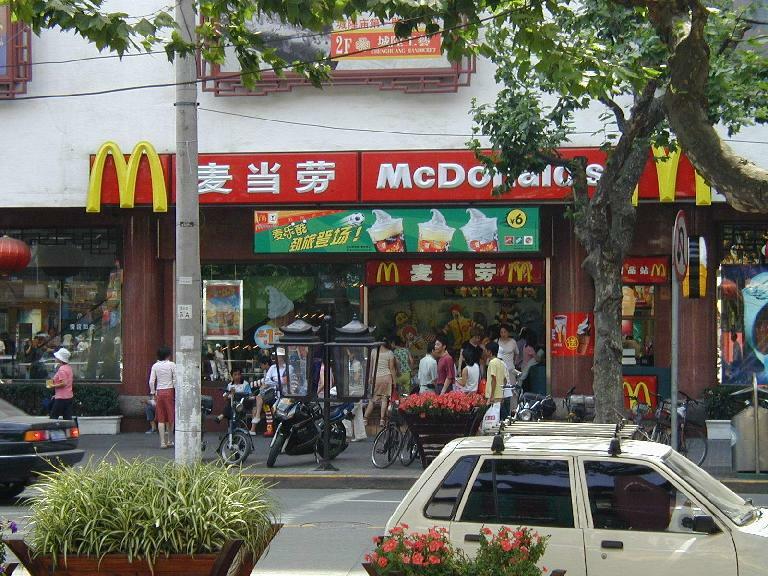 Other than that, most things served in restaurants are safe for Western consumption, it seems. The food is good if you are into cooked and oily food, Chinese style. 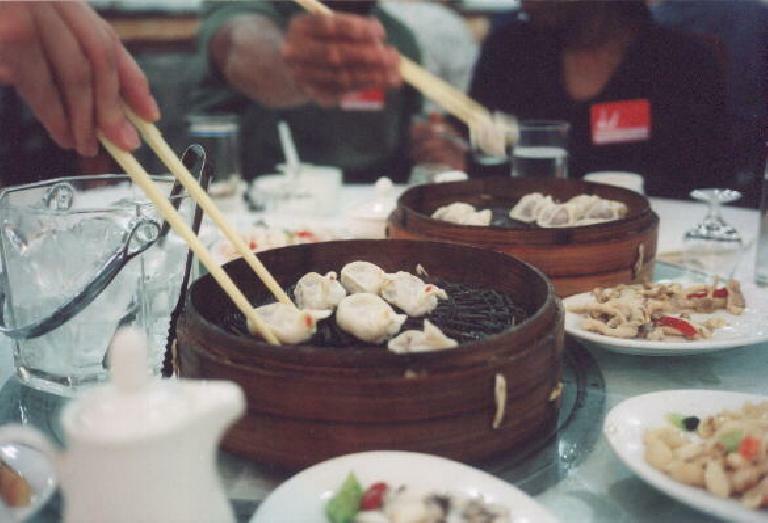 My suggestion, however, is to try the food you are served in the restaurant without asking them what is in them, because if you knew, you probably would not want to try them. 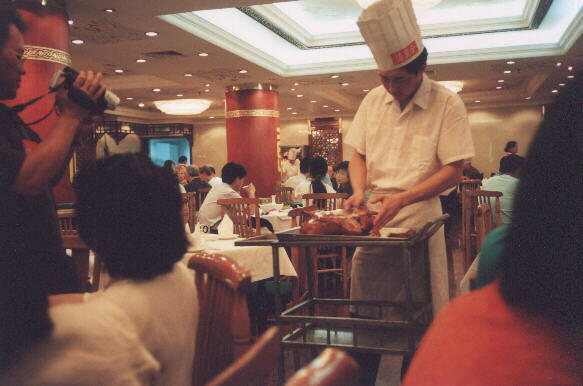 For example, at the Peking Duck place, we were served basically every part of the duck… intestines, liver, etc. If you don’t know what’s in them beforehand, you may find most things quite tasty, though (in my opinion) not vastly different or better than Chinese food served in the States. In several cities there are a lot of outdoor markets where food is often not covered and there are live animals for sale. Sometimes the environments could not really be considered exactly sanitary. 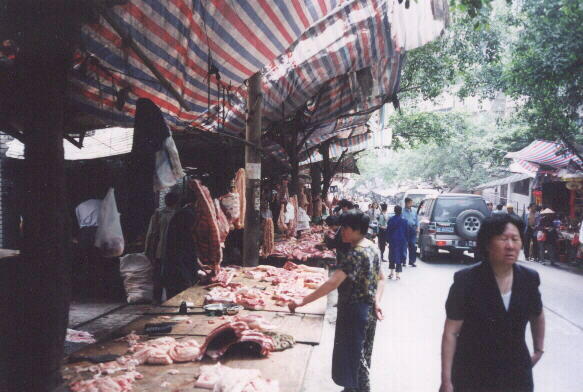 For example, in Chongqing, there were tables of exposed tofu (also called “bean curd” by some of the Chinese members of our group, like my mom)… and then a car would drive on by. I could only imagine that the tofu, being quite absorptive, was soaking up the exhaust fumes. 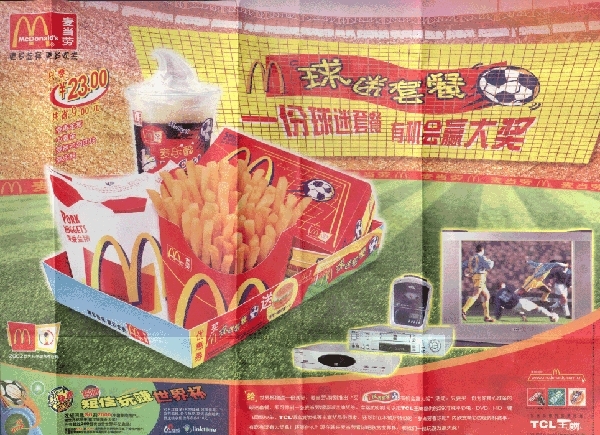 At the McDonald’s in Xian, the menus were largely the same as those in the U.S. (but in Chinese, of course), with a few notable exceptions. First they had “McCools”, which were just like ice cream floats, except the choices of beverages the (vanilla, I think) ice cream could be in included Coke, Sprite, or something else (not root beer). Karen, Martrese and I tried them, and they were pretty good! One thing we didn’t dare try, however, were PORK NUGGETS. I imagine they are like chicken nuggets, but made of pig instead. No thanks!